There may be no such thing as a free lunch, but there is such a thing as free beer at the Denver Newspaper Guild’s general membership meeting. Come to the meeting at 5:30 p.m. Monday, April 21 at Cap City Tavern and your first beer, glass of wine or well drink will be on us. Did someone say “tacos”? There also will be $1 tacos available. 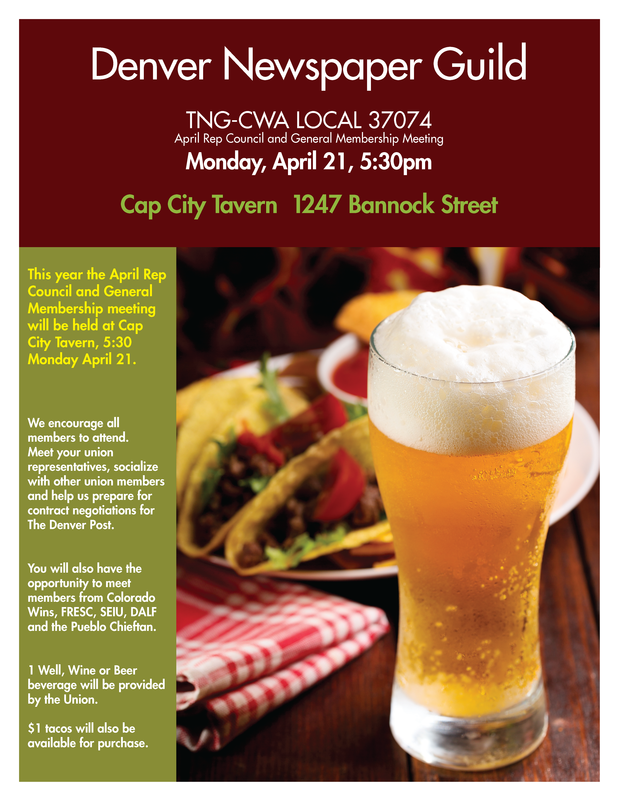 Cap City Tavern is at 1247 Bannock St. in Denver. Here’s a map. 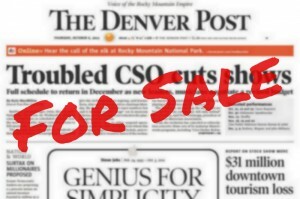 We’ll be talking about the upcoming Denver Post contract negotiations and whatever else is on your mind, so come with questions. You’ll also have the opportunity to meet members from the other units of the Denver Newspaper Guild: Colorado Wins, FRESC, SEIU, DALF and the Pueblo Chieftain.